For cleaning screen fabrics. 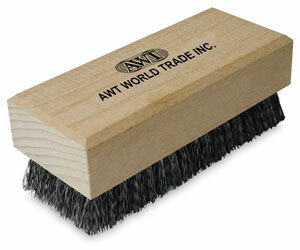 Stiff plastic bristles work cleaning agents into material to work up a "tooth" for best film adhesion. Bristles are set in wood block.